I love vegetables. I could eat them all day long and often times, I do. 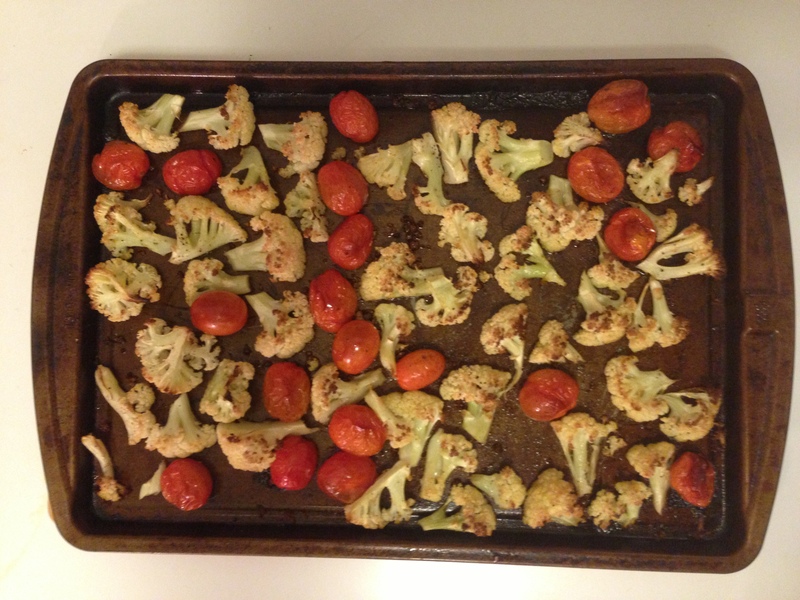 One of my favorite ways to prepare them is by roasting them. Here’s a tasty, versatile side that’s easy to make — and bonus, once you can roast these, you can do the same with just about any other vegetable. 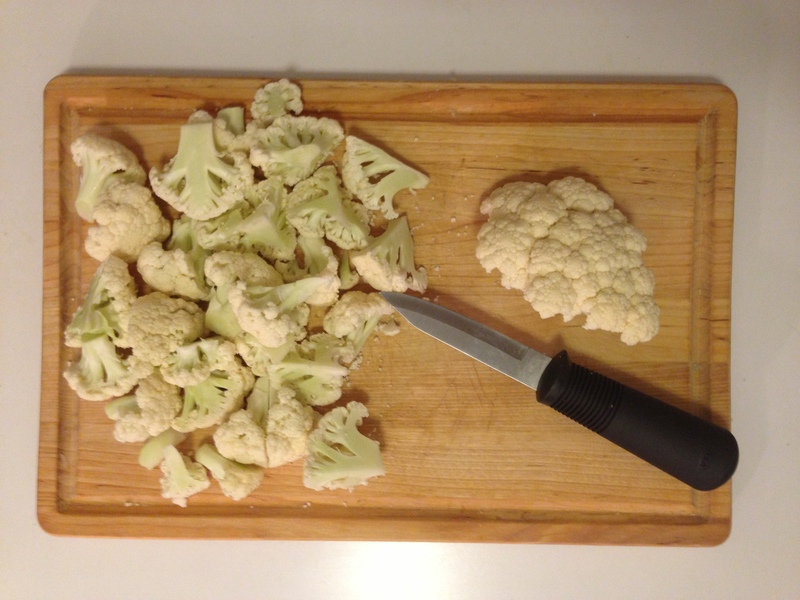 To start, preheat your oven to 425 degrees F.
Wash your head of cauliflower and cut it up into bite-size pieces. 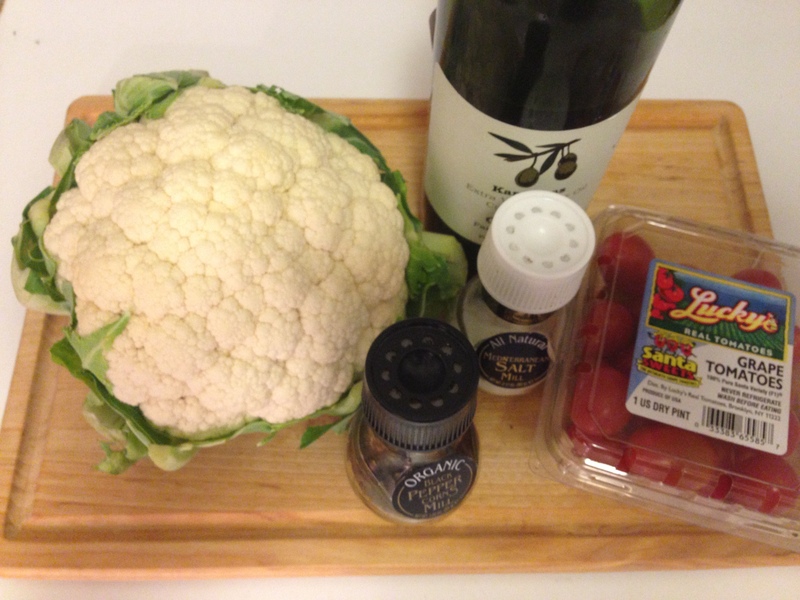 Assemble the chopped cauliflower on a sheet tray with the tomatoes. 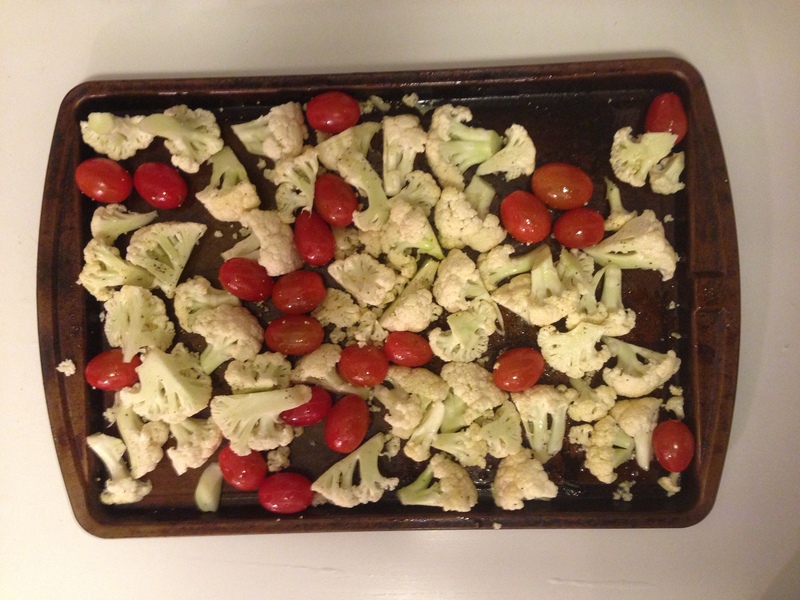 Drizzle about 2-3 tablespoons of the olive oil on the vegetables and season with salt and pepper. Toss together so that all the florets are evenly coated. Fieldhouse Fun Fact: That knife pictured right is the largest knife I have in my kitchen (again, limited supplies).